When a photographer, videographer and chef team-up what do you get? Military combat rations (MRE’s) turned Michelin starred meals. Most-likely what you weren’t thinking, but by the looks of the photos below, this project turned out to be a success. 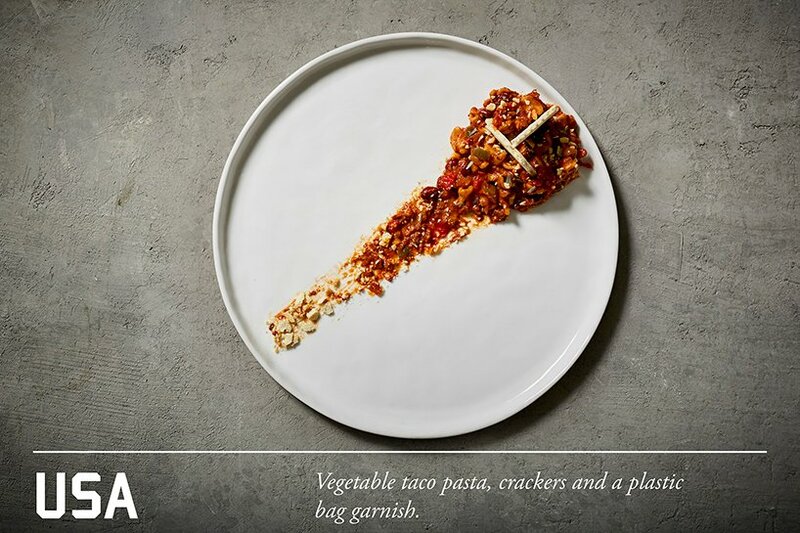 Experimenting with this food concept of elevating MRE’s into Michelin starred meals are New York chef Chuck George, videographer Jimmy Pham and photographer Henry Hargreaves. What also makes this so unique (besides the fact they’re using MRE’s) is that they actually scoured the markets to find these rations from different military’s around the world. From the USA to Russia, China to Lithuania, it becomes eye-opening when you realize what you’re looking at is a military MRE. Knowing these brave men and women are surviving on this while they’re out in combat, it’s nice to see an elegant twist on this not-so-tasty food. Next post: Chef Life America Patch Now Available!